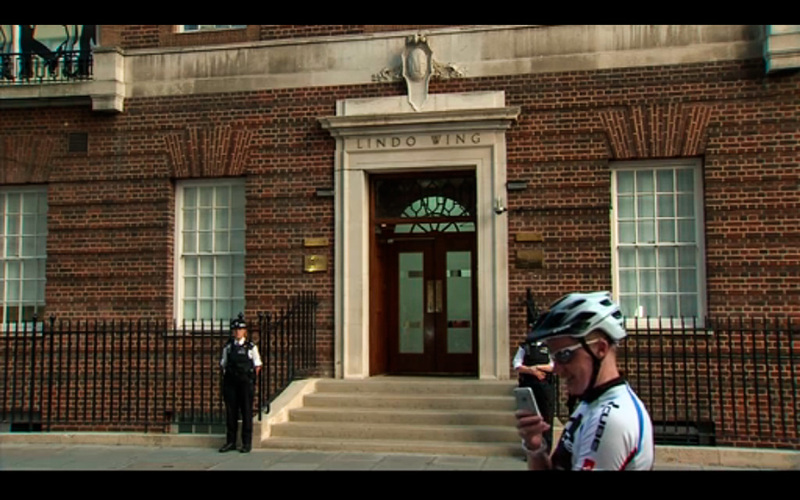 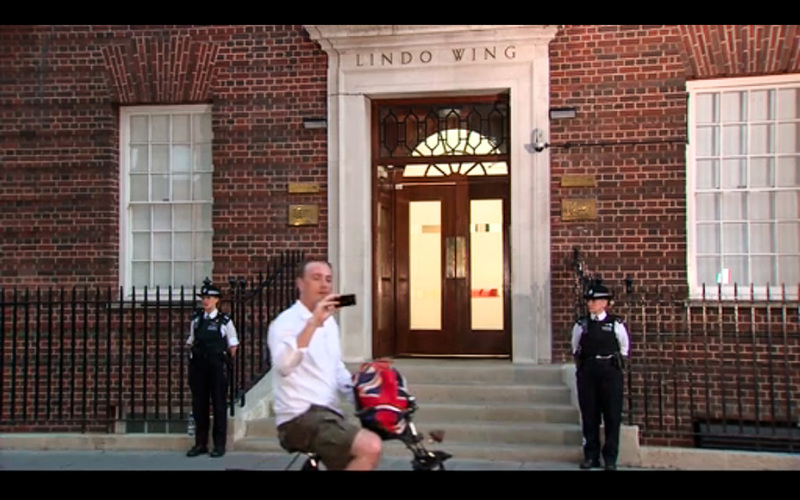 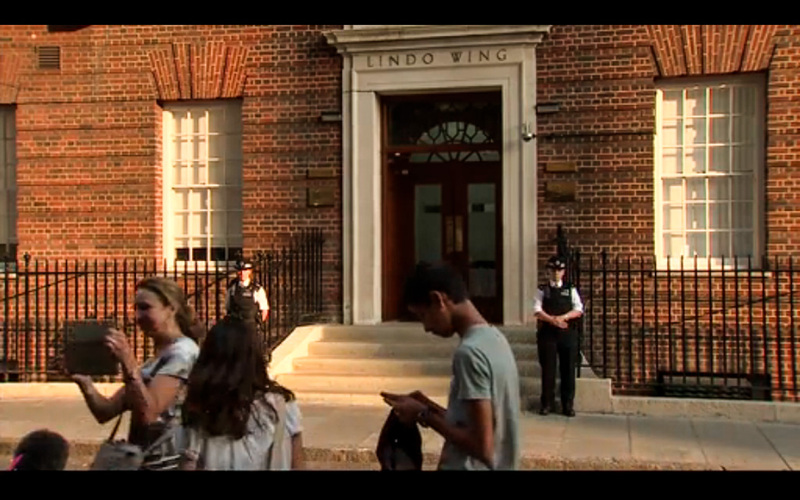 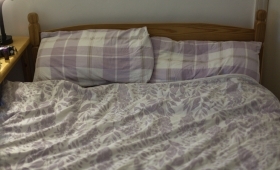 While everyone was waiting for the #RoyalBaby to arrive, the Sun set up a Royal Baby Monitor, a live web streaming camera for “BRITS can enjoy a front-row seat as the nation waits for a royal baby”. 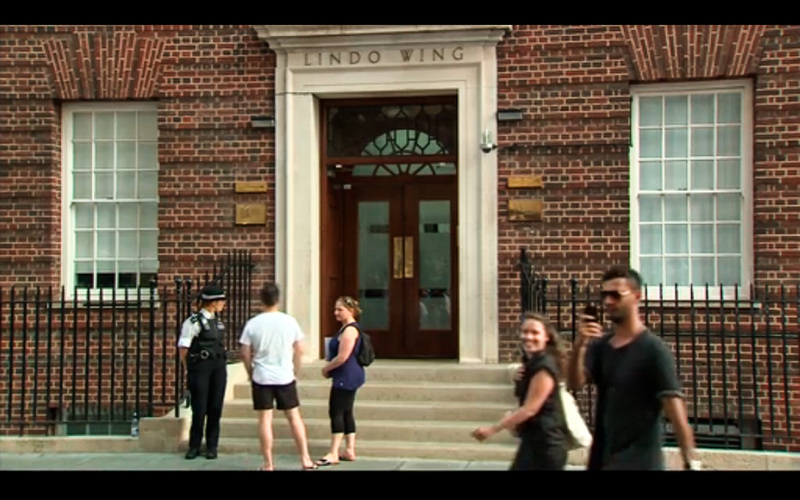 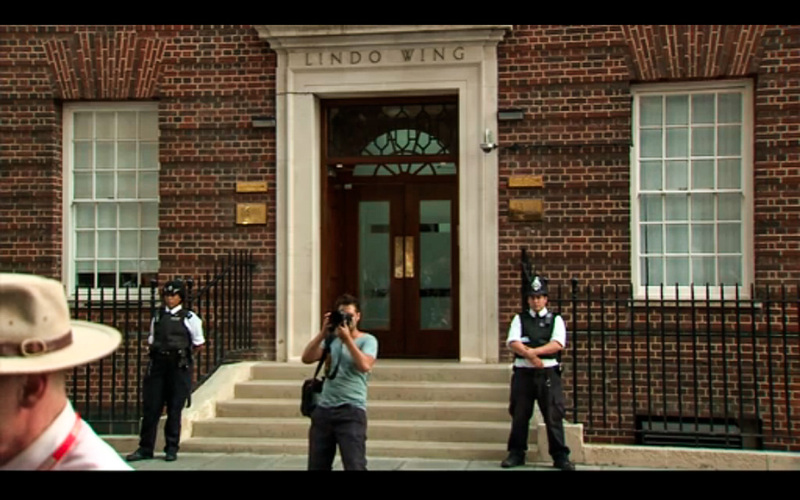 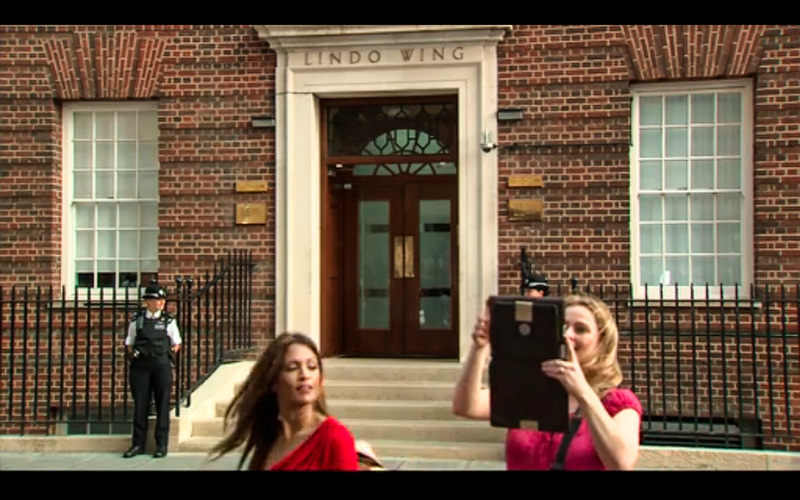 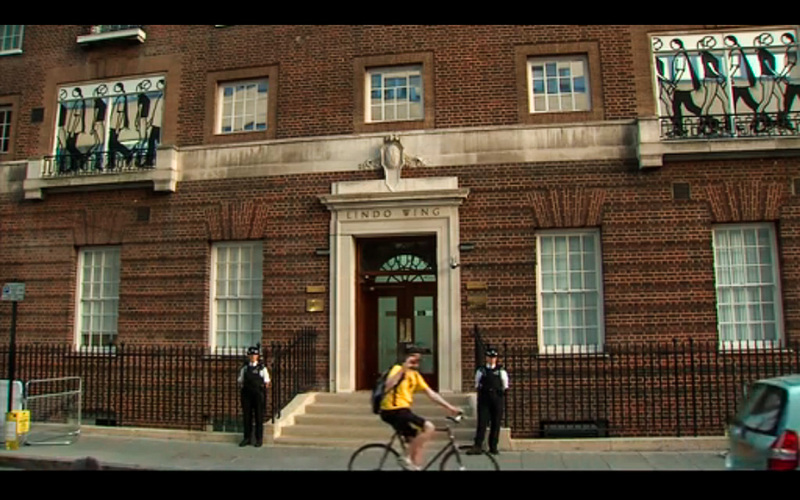 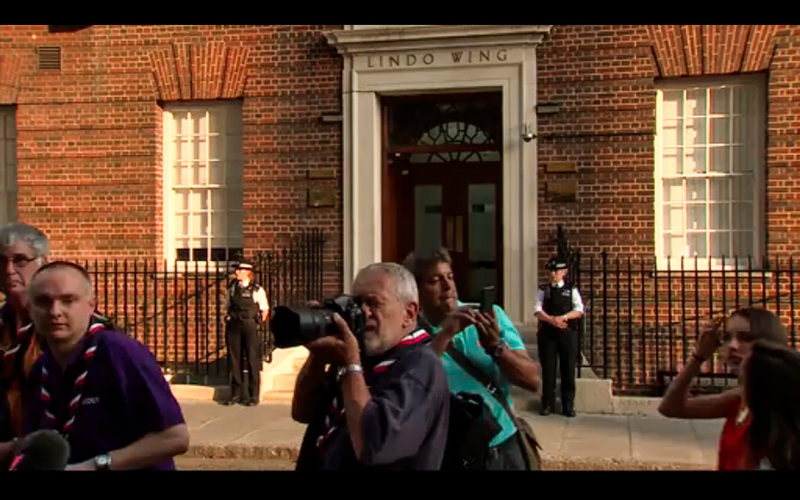 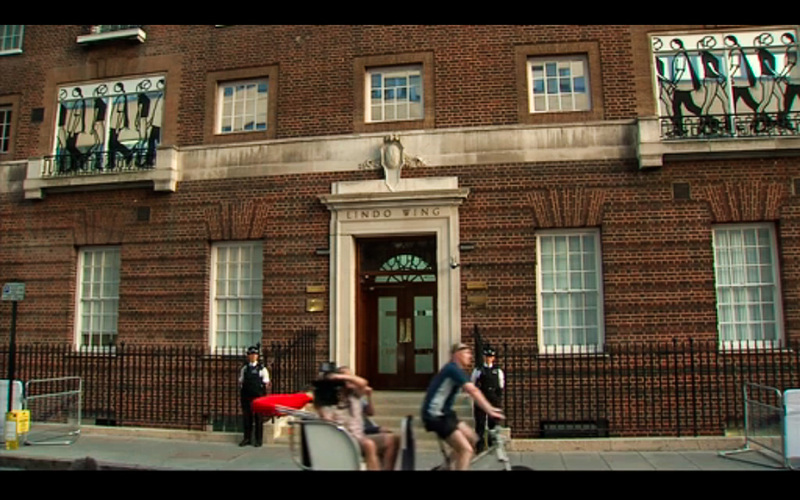 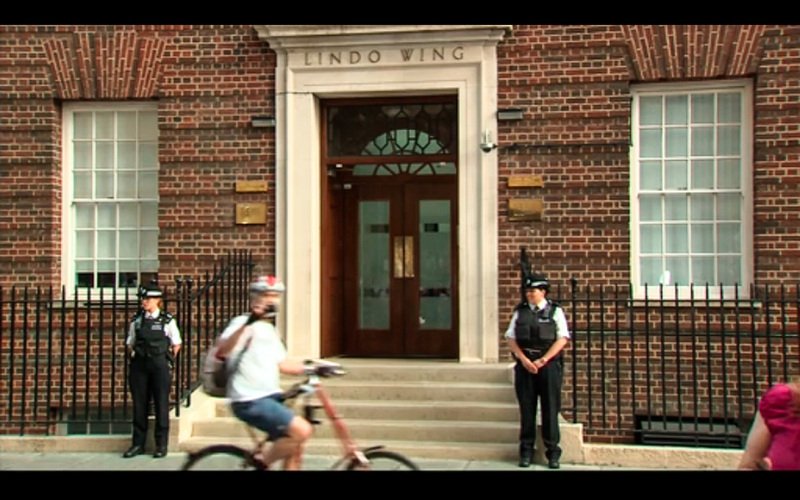 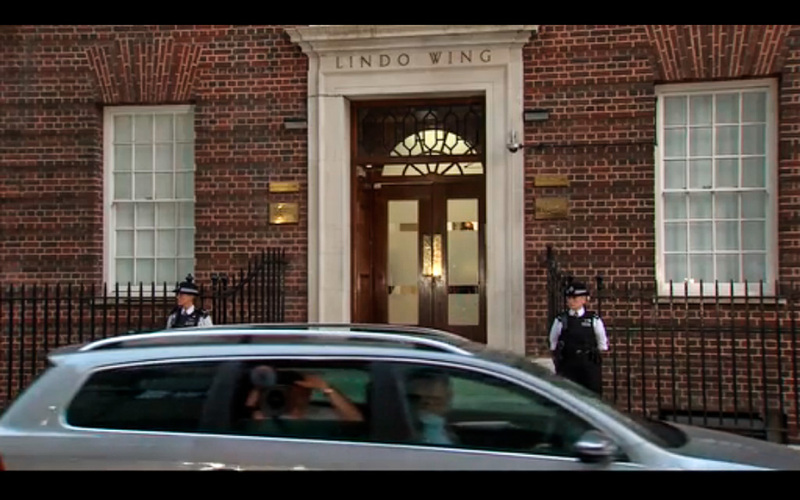 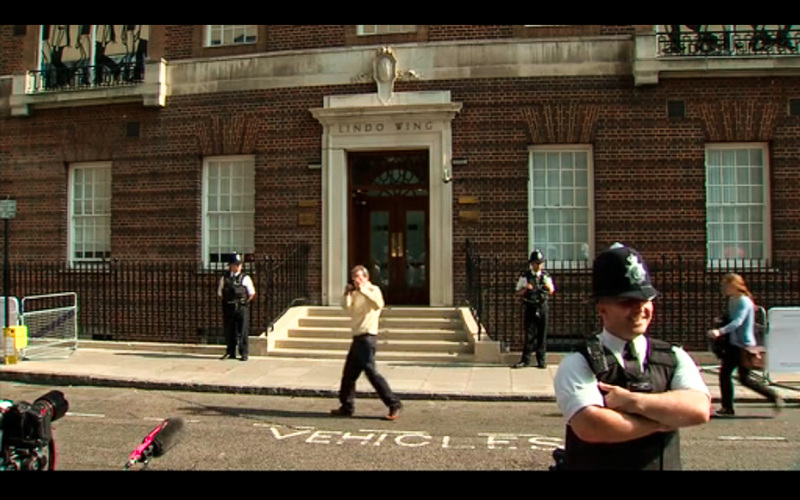 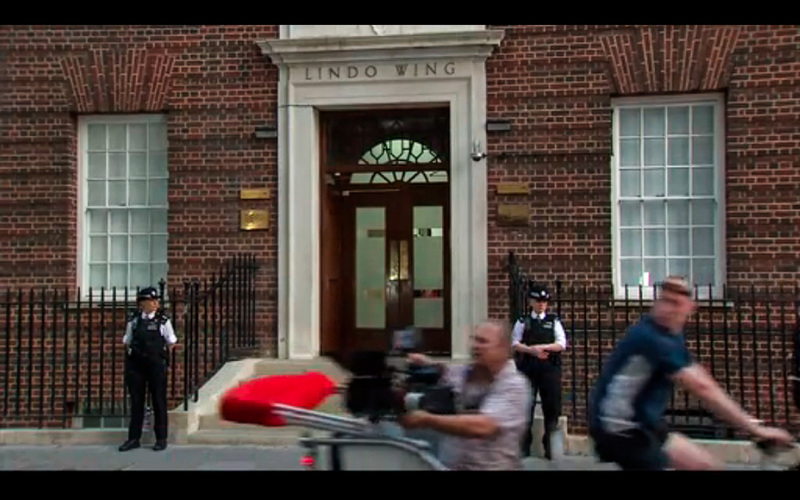 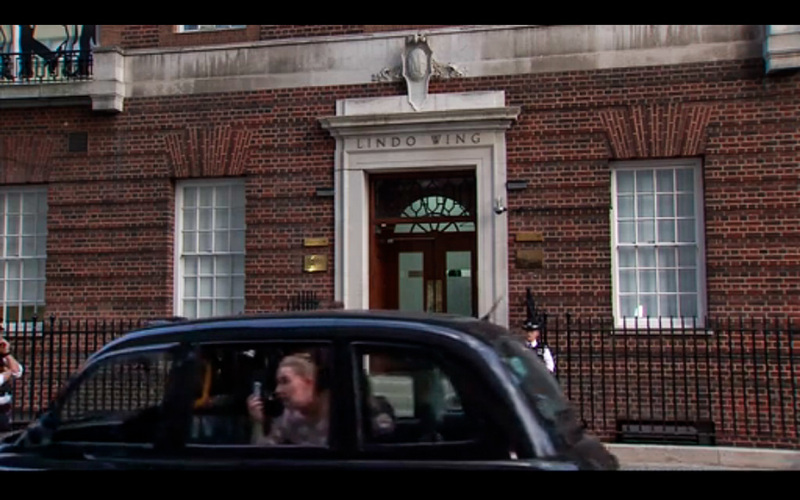 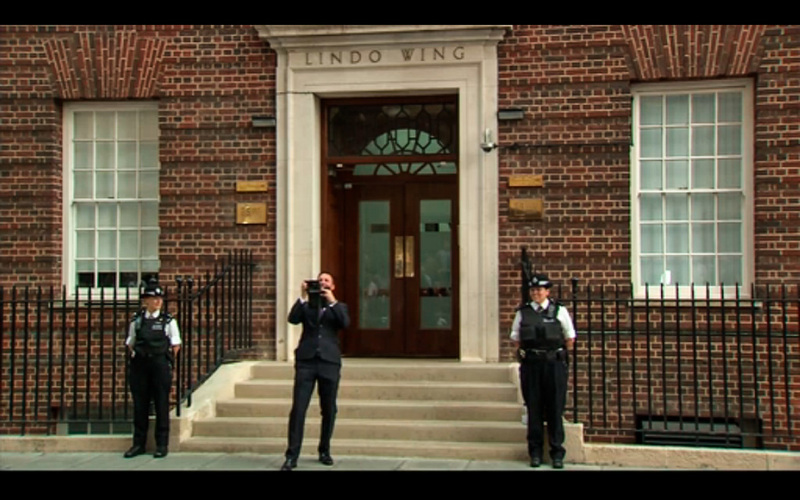 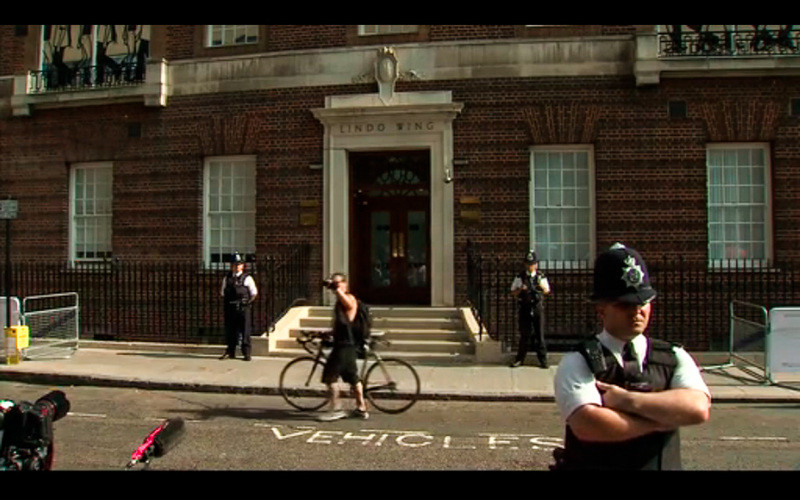 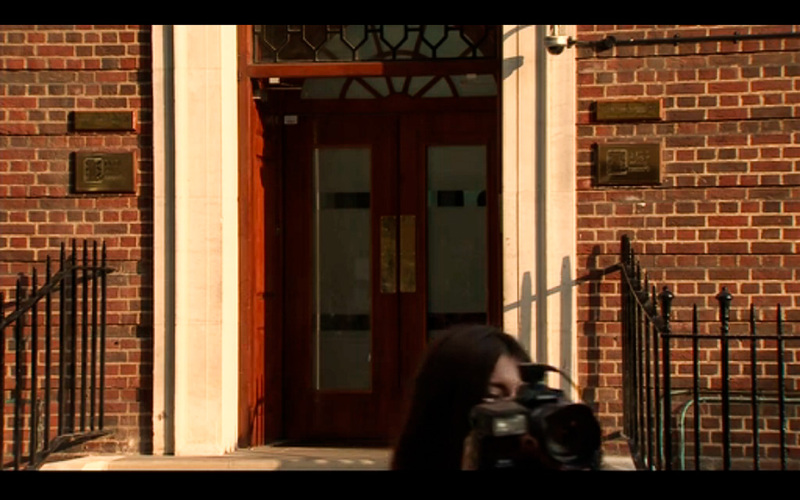 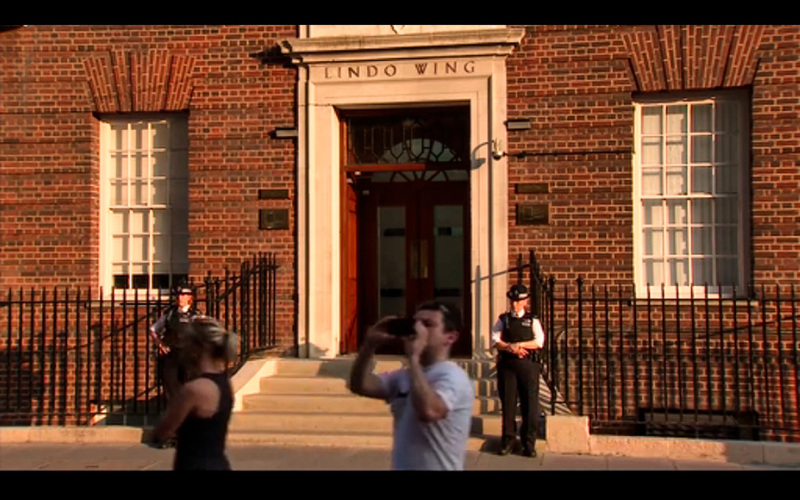 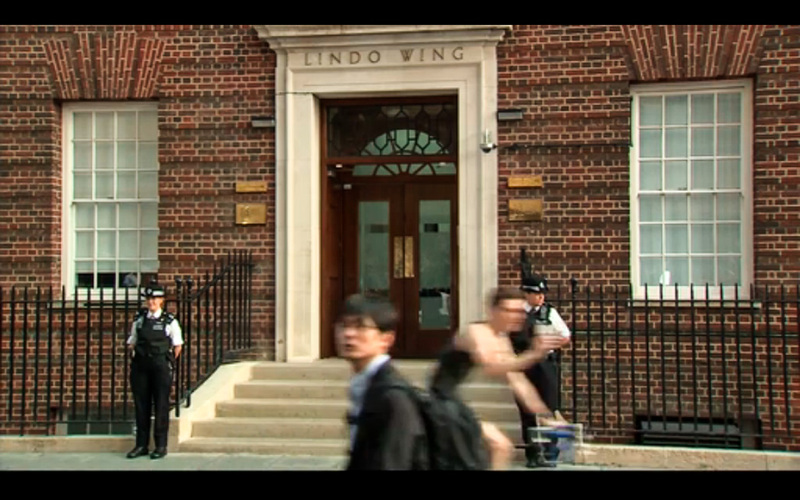 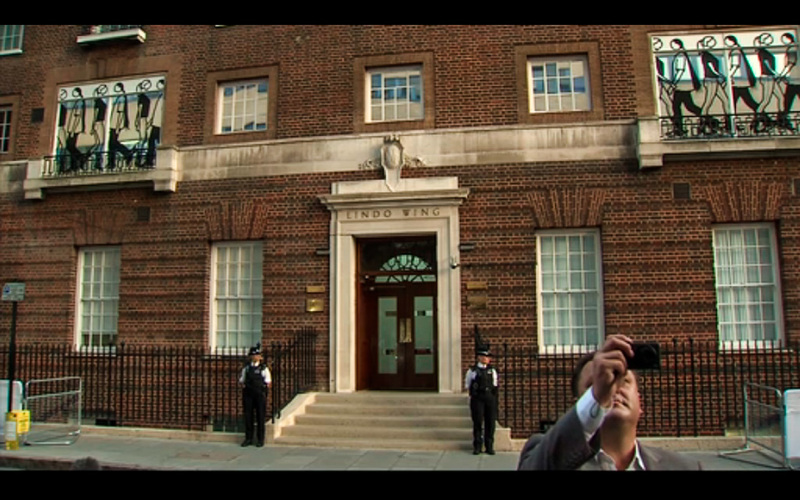 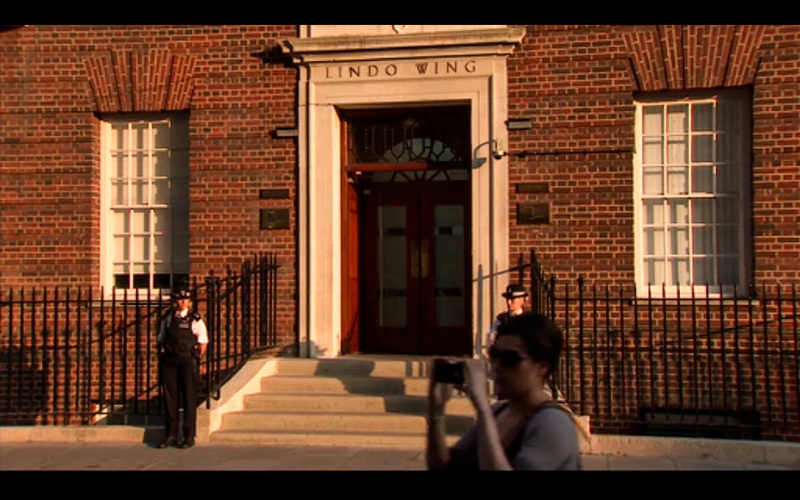 The camera was positioned amongst the hundreds of photographers and journalist who set camp outside St. Mary’s Hospital in London anticipating a glimpse of Kate or other Royal members to enter/ exit the hospital through the main door. 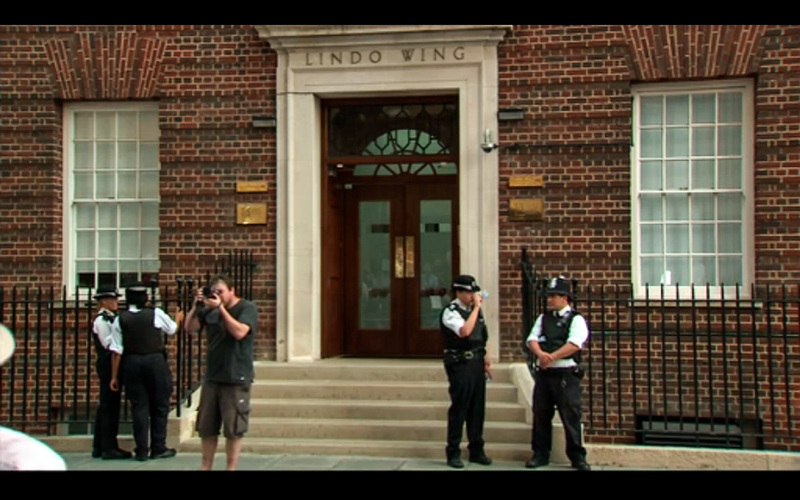 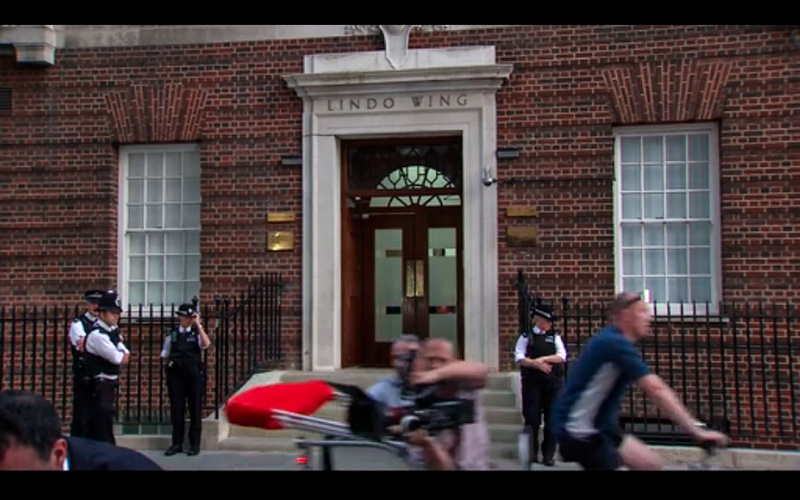 These images are computer screen grabs from the Sun’s Royal Baby Monitor of people who stood in front of the hospital door taking snaps of the press photographers, whom we don’t see but can only imagine.